Using Accreditation as a Management Model to Create a New Police Department | CALEA® | The Commission on Accreditation for Law Enforcement Agencies, Inc.
“What was it like to start a police department from the ground up?” This is a question I have been asked hundreds of time since the startup of the Johns Creek, Georgia Police Department in April 2008. The simplest answer is “Amazing.” But, “Where do you begin?” when you have less than 100 days to start a law enforcement agency, is usually the second question. Well, you start with the usual items: police officers and staff - check; cars – check; radios and guns – check; CALEA standards manual and contracts – check; computers - check. Wait, did you say CALEA contracts? Yes, I said CALEA contracts and manuals. This is usually where most people ask “Why would you tackle the CALEA process when you are just starting up?” For Chief Ed Densmore and his inaugural command staff, including myself, it was the ideal time to start accreditation! During the chief’s first meetings with the inaugural staff, he talked of values, goals, training, his vision, and our agency’s future. Chief Densmore made it clear that in order to be successful, we must first have a solid foundation and the CALEA Law Enforcement Standards would provide the blueprint to base our foundation upon. “Our minimum standards will be nothing short of excellence,” Densmore stated. We had our marching orders. We established a timeline, followed the accreditation process, and our amazing journey began. Using the CALEA hiring and recruitment standards as our guide, we established a hiring process and only hired the best of the best. Next we established a training curriculum and once again, the CALEA standards provided our starting point. We trained each new employee and established the high level and quality of training required of an exemplary agency. Chief Densmore said it best when he said, “Everyone needs a map to know where they are going and CALEA will be our road map to success.” Each week leading up to our deployment, Chief Densmore met with the command staff and we reviewed, discussed, and ironed out our policies, practices and procedures, using the CALEA Standards Manual, or the “big yellow book” as which it was commonly referred, as our guide. We systematically established policies, procedures and practices based on the CALEA model and Densmore’s vision. Over the weeks that followed, we established a reporting process, dress codes, analysis models, pursuit policies, a code of conduct, evidence procedures, created forms, and much more. We covered everything needed to operate a police department from A to Z by following chapters 1 through 84 of the Standards for Law Enforcement Agencies. Our deployment date was steadily approaching and we knew we were ready; the excitement was electrifying and contagious. 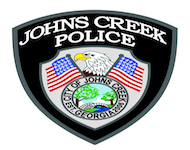 At midnight on April 27, 2008, Chief Densmore put the inaugural Johns Creek Police Department in service, and by doing so set in motion the beginning of our legacy. Chief Densmore provided the leadership and empowered us to live up to our agency’s vision statement. We eagerly look forward to our first reaccreditation.